Today marks 20 years since Sonic the Hedgehog was released. Sonic the Hedgehog was the game which changed Sega’s fortunes in America. The bold decision to package the machine’s killer app with the console led to unprecedented sales and a massive market share. 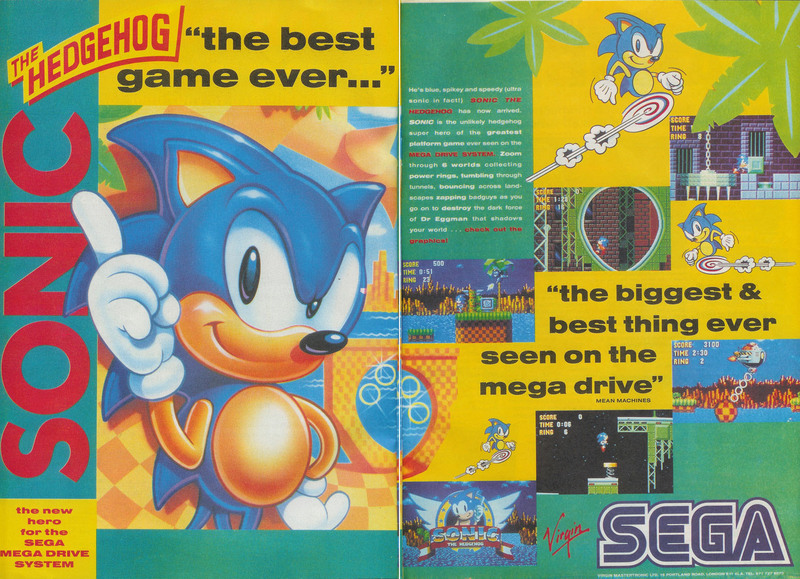 This ad comes from the UK – if you look closely, you will see that Sega distribution was still being handled by Virgin Mastertronic at this time.